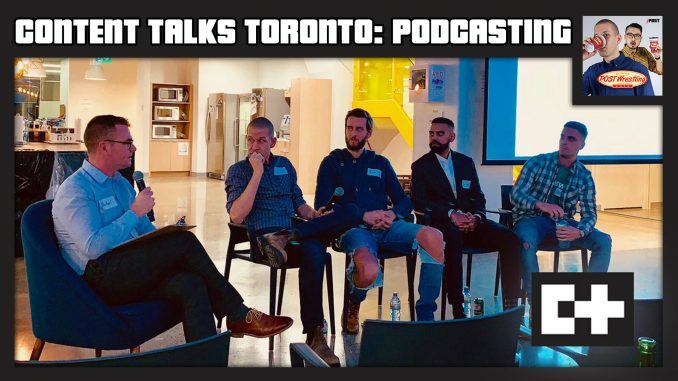 POST Wrestling’s John Pollock joins a panel of fellow podcasters in this special discussion presented by Content Talks Toronto. Hosted by Content Talks founder Michael Smith, this hour-long conversation features four experts discussing how they each got started in podcasting, what is required to start a podcast, ways they have each found success, and a number of other tips for anyone interested in the medium. Content Talks Toronto brings together marketers, communications and media specialists across all industries to network and learn about content. For more information, visit contenttalks.ca.